Adel Radi Saker al Wahabi al Harbi, Muhsin al Fadhli’s deputy. 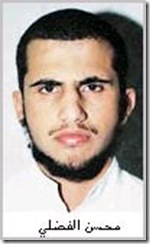 The US Treasury Department announced today that it has designated Adel Radi Saqr al Wahabi al Harbi, who is “a key member of an al Qaeda network operating in Iran and led by Iran-based al Qaeda facilitator Muhsin al Fadhli.” This same network was previously headed by another al Qaeda operative, Yasin al Suri, but al Fadhli took over as chief of al Qaeda’s Iran-based network in late 2011. 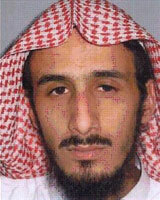 Muhsin al Fadhli, who is said to be al Qaeda’s new leader inside Iran. Yasin al Suri and five other al Qaeda members tied to the Iran-based network were designated by the US Treasury Department in July 2011. 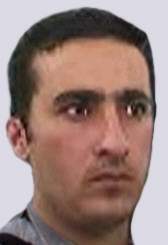 In December 2011, the US government offered a $10 million reward for information leading to al Suri’s capture. It is one of the highest bounties offered for any terrorist. In February 2012, the Treasury Dept. designated Iran’s Ministry of Intelligence and Security (MOIS) for its support of al Qaeda and al Qaeda in Iraq (AQI). Then, in July 2012, the US State Department highlighted the relationship between Iran and al Qaeda in its annual Country Reports on Terrorism publication. “Today’s action, which builds on our action from July 2011, further exposes al Qaeda’s critically important Iran-based funding and facilitation network,” Under Secretary for Terrorism and Financial Intelligence David S. Cohen explained in a press release. Although the Treasury Department does not say it, the US government’s efforts to expose the Iran-al Qaeda relationship have likely impacted the way the network operates. Today’s designation tracks with earlier press reporting on the reshuffling of al Qaeda’s Iran-based leadership. Al Fadhli is a longtime al Qaeda operative who was previously designated by the US government in 2005. At the time, al Fadhli was “considered an al Qaeda leader in the Gulf” who “provided support to Iraq-based fighters for attacks against” the US-led Coalition. Al Fadhli was also a “major facilitator” for deceased AQI [al Qaeda in Iraq] leader Abu Musab al Zarqawi. Al Qaeda-affiliated groups are openly fighting the Syrian regime, and al Qaeda emir Ayman al Zawahiri has called on jihadists to topple Bashar al Assad. Meanwhile, the Iranians support Assad’s regime and are helping it fight the rebels. It is not immediately clear why Iran would support “elements” that are likely opposed to Assad, but such duplicity is not uncommon. Al Fadhli is also “leveraging his extensive network of Kuwaiti jihadist donors to send money to Syria via Turkey,” according to Treasury. These rewards are in addition to the $10 million sum offered for information on al Suri’s whereabouts.